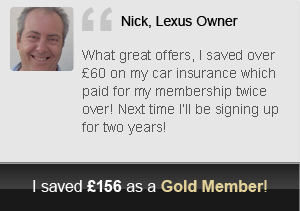 Welcome to the Gold Membership Scheme (managed by Auto Clubs International LTD) . 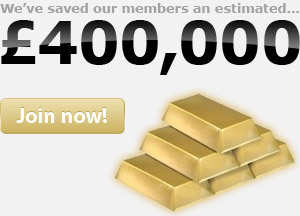 This agreement provides the terms and conditions which govern the use of membership services on the goldmembers.co.uk and goldmembership.org website, hereafter referred to as the Site. Membership to the Site provides registered members with a package of features and services. 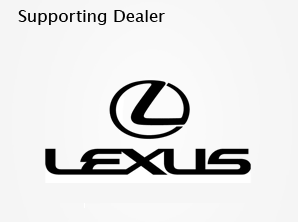 Auto Clubs International LTD may, at its discretion, add or delete features or services. By registering as a member, you agree to use the Site in a manner consistent with all applicable laws and regulations and in accordance with the terms and conditions set out below. maintain and update the registration form to keep it true, accurate, current and complete. If you provide any information that is untrue or inaccurate, or Auto Clubs International LTD has reasonable grounds to suspect that such information is untrue, inaccurate or not current, Auto Clubs International LTD has the right to suspend or terminate your account and refuse any and all current or future use of the service, or any portion thereof. Any use of copyrighted material without permission of the author or owner. Material that portrays illegal activity, exploitation of children, racism, bigotry, hatred, or material that is harassing, tortuous, defamatory, vulgar, obscene, libellous, invasive of others privacy, racially or ethnically objectionable or any material which is deemed as such by Auto Clubs International LTD. Forging of headers or otherwise manipulating identifiers in order to disguise the origin of any content transmitted through the service or develop restricted or password-only access pages, or hidden pages or images. Any Content that contains viruses or any other computer code, files or programs designed to interrupt, destroy or limit the functionality of any computer software of hardware. The Member agrees that the use of the Site is entirely at the Members own risk.The Site is provided on an as is basis without warranties of any kind, either expressed or implied. Furthermore, neither does Auto Clubs International LTD provide any warranty with respect to any content, information, services or products provided through or in conjunction with the site. The member agrees that Auto Clubs International LTD or Auto Clubs International LTD is not liable for any conduct by members associated with the Site including, but not limited to, members posts, films, music or photographs. Auto Clubs International LTD and third-party Content providers make no guarantee of the accuracy, correctness, or completeness of any information on the Site and are not responsible for a) any errors or omissions arising from the use of information, b) any failures, delays or interruptions in the delivery of any content or services contained within the site, or c) losses or damages arising from the use of the content or services by the Site. You agree to indemnity and hold Auto Clubs International LTD and employees harmless from any claim or demand, including solicitors fees, made by any third party due to or arising out of your Content, your use of service, your connection to the service or your violation of any rights of another. You agree not to reproduce, duplicate, copy, sell, resell or exploit any portion of the membership scheme, use of the service, or access to the service unless the member has written consent. Auto Clubs International LTD reserves the right at any time and from time to time to modify or discontinue, temporarily or permanently, the service, or part thereof, with or without notice. You agree that Auto Clubs International LTD shall not be liable to you or to any third party for any modification, suspension or discontinuance of the service. You agree that Auto Clubs International LTD, at its sole discretion, may terminate your password, use of the service and remove and discard any Content within the service for any reason, including without limitation, if Auto Clubs International LTD believes that you have violated or acted inconsistently with the spirit of Auto Clubs International LTD's Gold Membership scheme. Auto Clubs International LTD may also at its sole discretion and at any time discontinue providing the service, or part thereof, with or without notice. You agree that any termination of your access to the service may be effected without prior notice and in such a case Auto Clubs International LTD may immediately deactivate or delete your Auto Clubs International LTD Gold Membership Account and associated data provided therein and/or bar any further access to membership area or the service. Further, you agree that Auto Clubs International LTD shall not be liable to you or any third-party for any termination of your access to the service. All membership pack information remains property of Auto Clubs International LTD and should be returned within 21 days of membership commencement date. You acknowledge and agree that the service and any necessary software developed in connection with the service contain proprietary and confidential information that is protected by applicable intellectual property and other laws. Except as expressed authorised by Auto Clubs International LTD, you agree not to modify, rent, lease, loan, sell, distribute or create information based on the service or the scheme, in whole or in part. If you detect any violations of the aforementioned agreements please report them to the service administrator at Auto Clubs International LTD.